2) Click the "Other" choice - where we have made it so a message pops up and hides the rest of the form... which is what we want - did you notice that once you click other pushes the user to the bottom of the page - you have to scroll up to the the message. Is there anything we can do to stop this from happening? I am afraid that we do not have an option to stop that behavior at the moment. The issue seems to be happening since the form height is being changed due to the hidden fields. 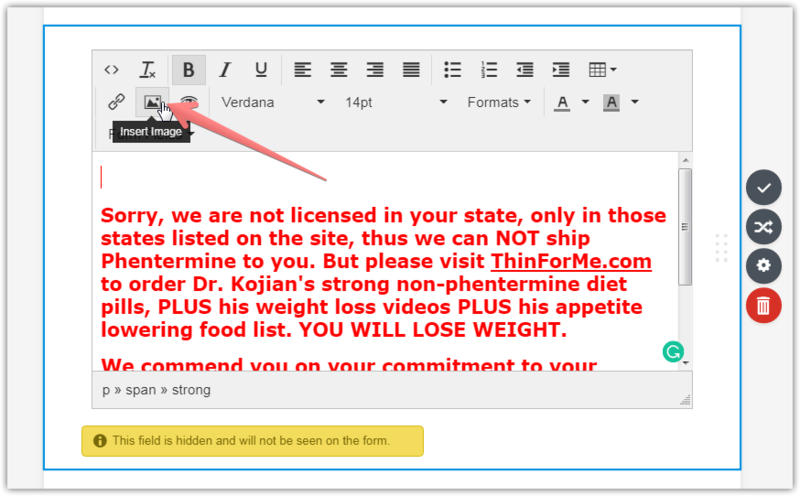 As a workaround, please try increasing the size of your conditional Text field. For example, insert some image/logo, or some additional text to make it longer.